Common Blue butterflies, in the process of making the species even more common. The brightly coloured males are conspicuous but females are more secretive. The colour of the upperwings of females varies from almost completely brown in southern England to predominantly blue in western Ireland and Scotland, but the colour is variable within local populations with some striking examples. 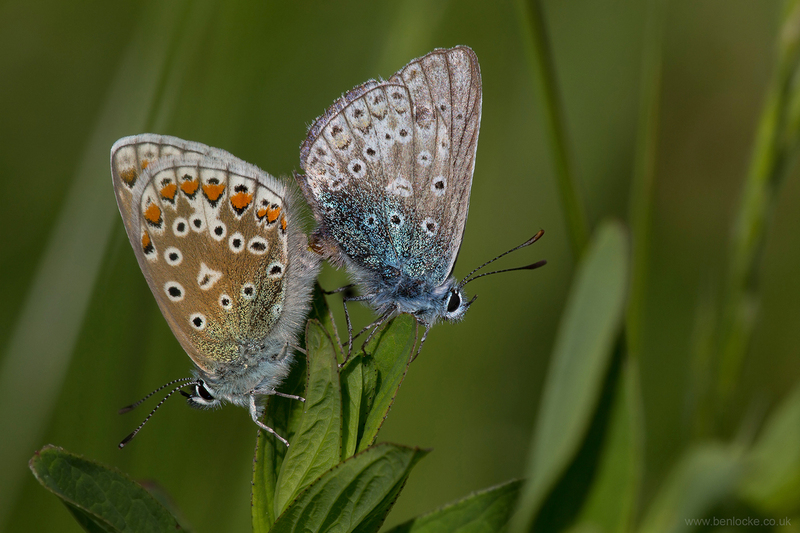 Unlike Adonis and Chalkhill Blues, the dark veins do not extend into white fringes of wing margins.